So many times in the classroom or at home, you might think to yourself, “I just don’t think _____________ even hears a word that I am saying!”. It can be so frustrating! I know first hand, both at school and at home. My oldest son has struggled with listening comprehension for many years. It wasn’t until I pursued an outside evaluation with an audiologist that we finally had some answers. Now, after reflecting back, I wish I had this information sooner. Not only could I have helped my son, but I could have also helped countless students that struggled with this same issue! And, YES, it is possible to teach and overcome these difficulties! It is important to remember that students who have difficulty with listening comprehension don’t have hearing issues. The difficulties are with processing the information that they are hearing. PLEASE note, that I am not an audiologist or a therapist. These observations are areas that my own child has struggled with and were identified as areas of difficulty in his evaluation. If you have concerns about your own child’s listening comprehension, seek out help. I am a strong believer that with practice and targeted help, all weaknesses can be improved! 1. Has difficulty following single or multistep directions. “Go to the front of the room, get a pencil, a morning worksheet, and then get started.” Thirty minutes later, I would notice one student with a morning worksheet and no pencil just sitting there. When I would question the student, they would respond, “I didn’t have a pencil so I couldn’t do the work.”. “Well, if you had listened, you would have heard that I said to pick up a pencil, as well, at the front of the room.” If I had only known then, what I know now. I look back and think I was the worst teacher ever! 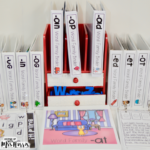 –Visual directions – Using picture cards/clipart images for each step and posting them in sequence on the board. –Checklist – For any routine task with multiple steps following a simple checklist would have been helpful. Laminate it and use a dry erase marker to mark off the steps completed. Then reuse it the next day! –Write the directions down on the board or on a sticky note for the student to refer back to as often as he or she needs to. 2. Asks often for directions or words spoken to them to be repeated. “Wait! What did you say?” If I only knew how many times my own child has asked this in the past 10 years!!!! So many times, he would come back to me or look at me with a blank stare. He did not have a clue what I was asking him. Even simple conversations about homework or what they were learning in class that day was difficult for him to articulate or understand. Do you have students or a child that frequently has to ask you to clarify orally presented questions or conversations? –Repeat what you are asking before the child has to ask aloud again. Always asking for something to be repeated can be embarrassing to the child. Offer repeated directions or restate the question in a new way to see if that helps. -Provide “Think Time” or extra time for the child to process what you are asking. Don’t interrupt or correct. Just give them time to think. –Encourage clarifying questions. In small groups or one-on-one, teach the child or student questions to ask to make sure they understand, such as, “Do you mean _________________?” or “Are you talking about something like ____________________?”. 3.Responds oddly to questions or conversations. While reading a Judy Bloom book aloud to the class one day in fourth grade, I asked the students to think of a time that a sibling or close relative got on their nerves. Imagine my facial expression when a student then raised his hand to told me a story of a time that his grandfather took him to Walmart and bought him a basketball. My face wasn’t the only negative response the child received. Several classmates replied back, “That is not a time that someone got on your nerves.” and “That has nothing to do with what Mrs. Harris just asked.”. The child was beyond embarrassed and did not participate the rest of the read aloud. My initial thought was that the child had obviously not been listening when I read that chapter or didn’t listen when I asked a question. Now, I realize that was not the case. -When the child responds back in a way that is odd or off topic, restate the question, but respond to their initial answer in a positive way. Don’t let their answer embarrass them. –Encourage students to take a second chance at responding or verbalizing the fact that they need a “do over”. After this situation, I did a social circle with my students the following day to encourage them to stop and ask for a “second chance”, a “do over” or “another try”. I taught them to be self-advocates and classmates that can ask for one another when they feel that someone needs another chance and to do so without embarrassment. 4. Appears to be “ADD” – easily distracted by background noise. I have to admit that many times if someone is asking me a question and there is a conversation happening behind me, that I turn and look at that conversation first, and then try to respond to what is being asked. I am VERY distracted by background noise. When this was the number one area of weakness for my own son, I immediately thought, “CRAP! Can that be genetically passed down? Because that is SO me!”. My son was able to verbalize this best when we discovered this was an area of difficulty for him. He told me that sometimes when a class next to his is playing a movie and he is supposed to be working independently, that he sometimes writes the words that he is hearing from the movie next door. YIKES! I knew he had trouble when a TV was playing and we were working on homework together, but I thought that was fairly normal. I never knew even muffled, quiet noises caused him to have trouble in class too! –Amplify the teacher’s voice – increase or amplify your voice so that it is remarkably louder than the background noise. 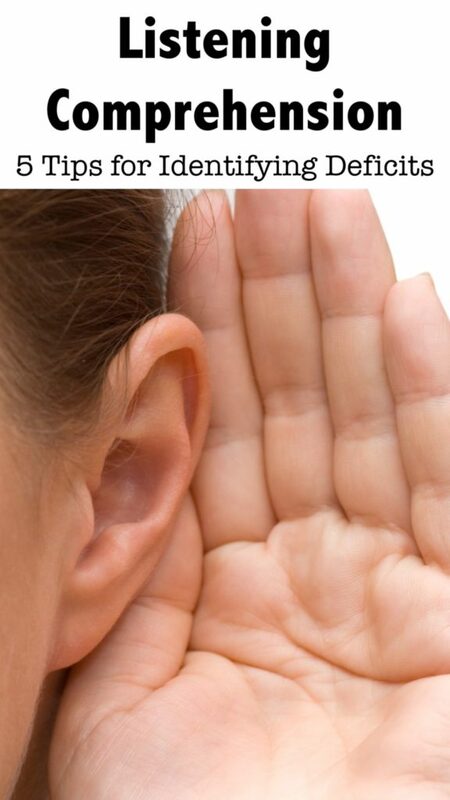 -Allow students to wear headphones or earplugs to help reduce the sounds around them while working independently. 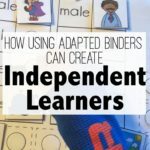 -Structure your classroom so that when independent work is completed that the classroom is silent and respectful for all learners. 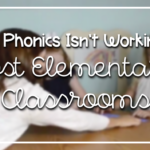 “If you can’t rhyme, you can’t read.” When I first started teaching kindergarten intervention groups, I remember a wise, veteran teacher saying this OVER and OVER. I became quite tired of hearing this and was determined that even if my students couldn’t rhyme, they would be able to by the end of the year. However, this is one area that might be an alert for listening comprehension difficulties later. Another sign is if the student mixes up words that they are learning to sing or while memorizing a poem or speech. I love using Reader’s Theater in my classroom to teach fluency and visualization. I will never forget a second grader that, despite every effort, just could not memorize or read his lines fluently. He became frustrated and was ready to quit his group. I pulled him to my table, and we worked and worked, but it was easy to see that he just wasn’t going to be able to do it. So instead of reading or memorizing, I asked him to just tell me what it is that his part said. He was able to tell me pretty much word for word (minus or plus a few) what the overall sentences were. I retyped his part using his words, and we moved on. He was more confident and was able to participate and feel successful. He didn’t follow the original script and his lines didn’t always come out word for word, but it was closer. Another example of this goes back to my own son who for a very long time made up his own phrases and words. At 3 years old, it was really cute that he said “buckle out” instead of unbuckle. We also thought it was funny that at 5 years old he said “right side down” instead of “upside down”. However, as he continued to mix up phrases or commonly used words, it became less cute and more concerning. This was yet another red flag as I began to seek more help. –Practice, practice, practice. Like I said earlier, the brain is a muscle and I strongly believe that everything can be practiced and improved upon. If it is rhyming that the student has difficulty with, use text predictable books. Pause and let them fill in the blank with the word they think the author is going to choose. If they are wrong, stop and have a discussion about why this other word was a better choice. –Correct them and move on. Don’t lecture them for 5 minutes about why the word or phrase they used was incorrect. Say it once and move to the next topic. –Model and demonstrate how to use the correct words or phrases in small groups or individually with students. Going back to my son using the words “Buckle out”, every time that I put the car into park, I would immediately say, “Now, everyone can unbuckle” or “It is time to unbuckle your seatbelts now”. I would say it before anyone had an opportunity to say anything else or for him to say it incorrectly. It didn’t take long before he picked up on his own mistake and corrected it without me saying something directly to him. Are you on information overload? I know! I was too for many months. I was unable to verbalize to those around me the relief I felt or the guilt I felt for not knowing sooner what was going on with my own child or any other child I had worked with in the past. So, what should you do if you have students that struggle with listening comprehension? Talk to past and current teachers. Does everyone see the same concerns? Discuss with the parents and see if they notice the same difficulties. Work on the accommodations listed above and see if they make a difference. 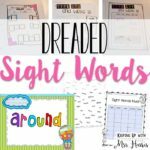 Provide more visual instruction to help the child be successful in the classroom. 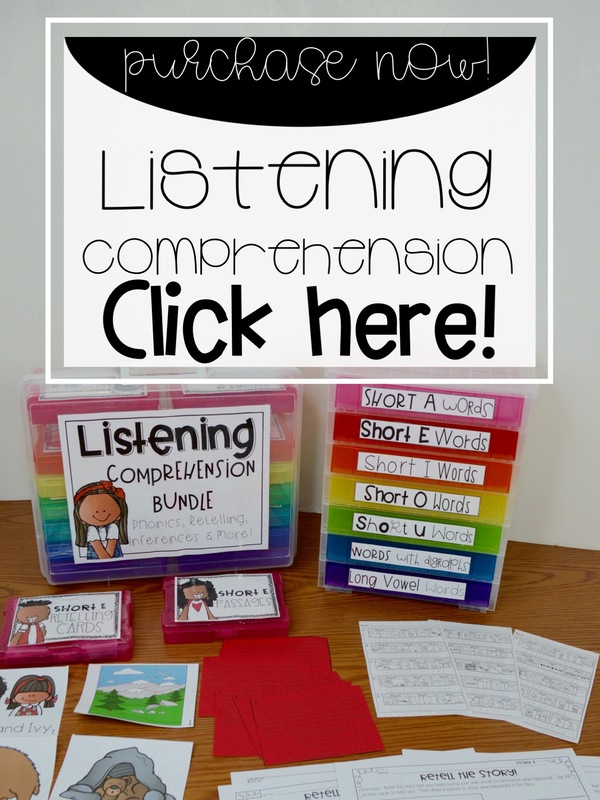 Work with the student to practice building their listening comprehension skills. There are many different products and activities out there to try! After becoming more aware of my son’s difficulties, I began working on a pack for him. We do these activities with music playing or the TV going so that there is background noise. It has made a difference, along with his therapy sessions he goes to once a week. If you are interested, see the information below the picture. 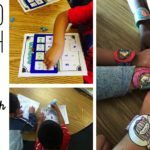 This pack was primarily created to help Kindergarten, First, and Second graders that struggle with listening comprehension. However, the components can be used with older students as well. Each pack within the bundle has 15 different listening comprehension passages. There are three questions for each passage that students answer on a response sheet with visual images. The student circles the image that answers the question. After reading, there are retelling cards for students to use. They can put the cards in the order that the story presented them. 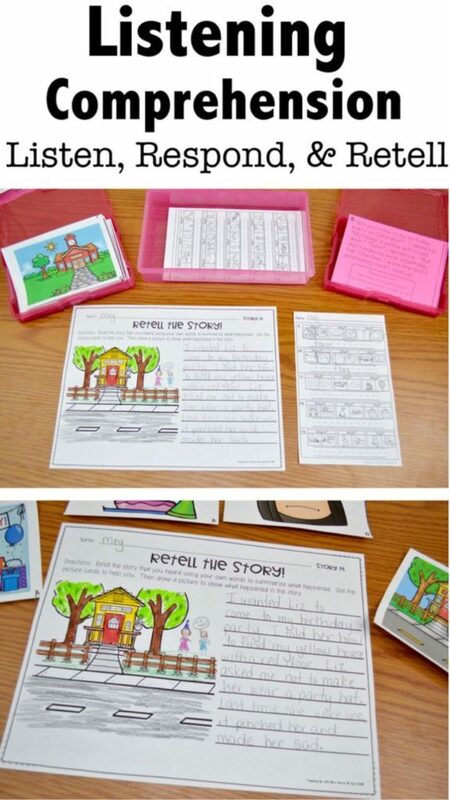 Finally, they can use the retelling cards to write the story in their own words on a Retell the Story printable. Want to see this in action? 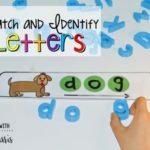 Watch the video below of a first grader using the bundle. Click here to try it for free! Please note that this is a GROWING bundle! Not all of the activities are finished yet. This means that if you purchase now the price is lower than it will be as more activities are added to the pack. If you buy now (while the price is lower), you will be able to come back and redownload the activities as they are added. Want to try the bundle for FREE? Click here to sign up and I will email you a sample of the bundle to try for free!